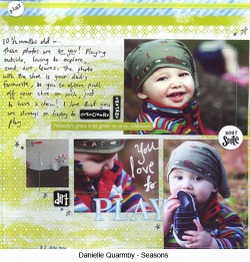 The beautiful colours in the cherryArte Vanilla Vintage papers were the perfect match for the jumper Caz's daughter is wearing in these photo. 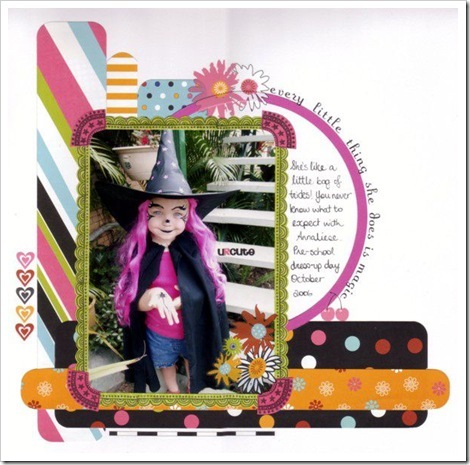 Caz kept the layout simple but managed to incorporate 5 different papers plus a card containing hidden journaling that slips in behind the main photo. 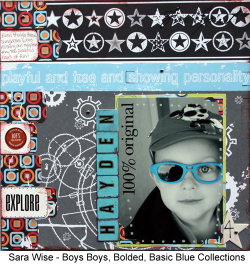 Suz used the lovely strong colours of the “Seasonal” range to create this simple but effective layout of her boys ‘playing’ with their welding kit. The cherryArte colour storeys are unusual but easy to mix and match, and look particularly effective against white cardstock. 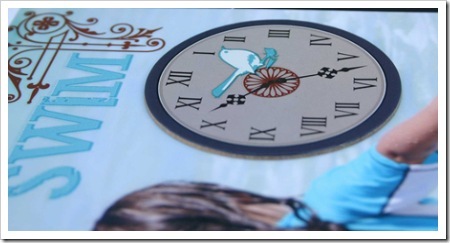 Thanks to the lovely Emeline Seet from Singapore for sharing the above three layouts with us. The first one uses a mix of Seasonal and Deco Hall. The second has a mix of Seasonal and Vanilla Vintage and in the the third one Emeline has used mainly Vanilla Vintage. 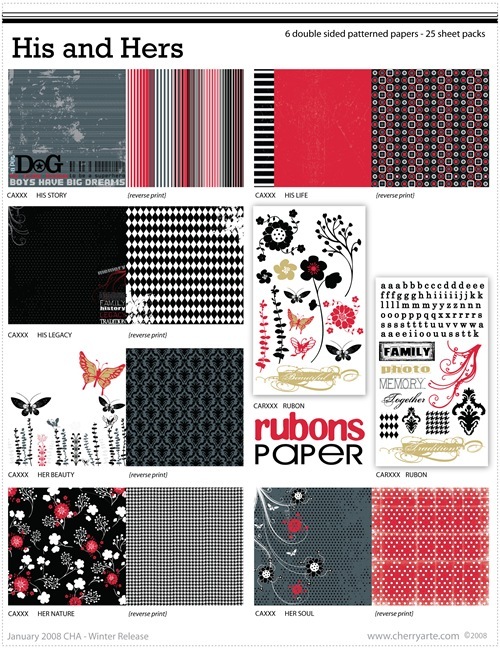 You can see how each of these paper ranges is easily able to be mixed and matched to create gorgeous layouts. 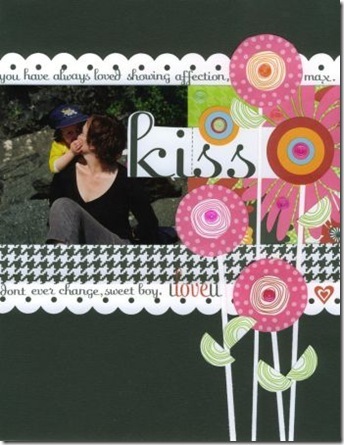 Thanks to Pam Callaghan for allowing us to share this lovely layout about herself and her Son using the cherryArte Vanilla Vintage papers. Such a simple idea to use the petal shapes this way but so effective. And these last two layouts come to us from the talented Sheri Reguly. 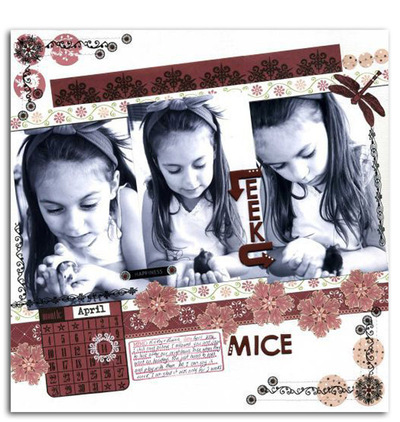 Sheri has blown us away with her ability to create such striking layouts such as this one here using the Vanilla Vintage range. I think you'll agree that the Vanilla Vintage papers look awesome against the crisp white background. 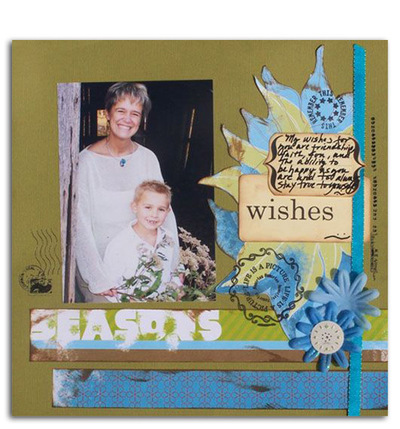 And in this layout Sheri has taken full advantage of the double sided paper from the Seasonal range and created another fabulous layout. 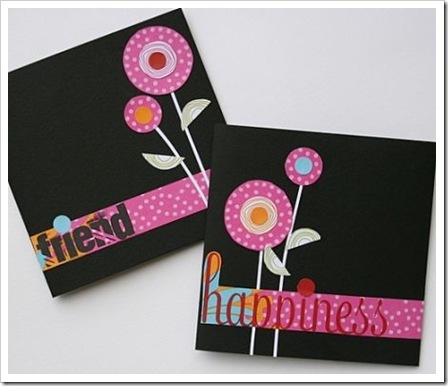 Only minimal embellishments are needed with paper this fantastic! 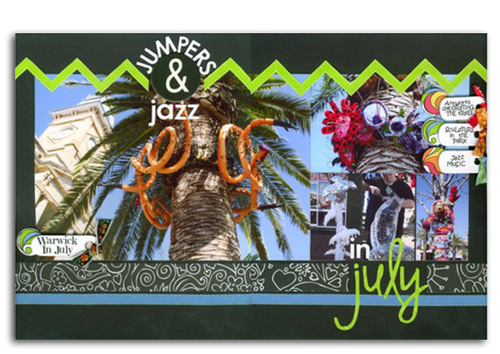 Many thanks to Sheri for sharing her wonderful layouts with us! A bumper inspiration post this week with heaps of fabulous page ideas from our own design team as well as cherryArte’s talented designers. Enjoy. Chris almost feels that the Vanilla Vintage range was made with her little darling Annaliese in mind! 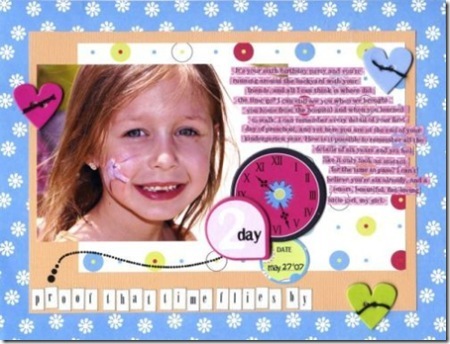 The papers and rub-ons have combined so beautifully to create this stunning layout centered around the photo of Annaliese on the day she was a flowergirl for the first time. Chris made special mention of how easily these gorgeous rub-ons are to apply. The new cherryArte lines = YUMMY in Jaimie's book. She says: “This is the best range yet. I love that all papers can mix and match easily and the rubons are divine." Jaimie cut out the flowers and then layered them on top of each other to form a corner cluster to die for. 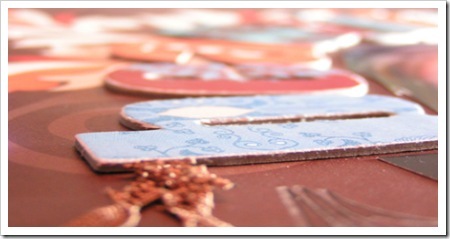 Rub ons were placed over the flowers and the cherryArte chipboard labels attached randomly on the cluster. Jaimie coloured the wilma chipboard alphas with a black pen, applied a light layer of glue and sprinkled the licorice pixie stix over the top. Nicole adores the Deco Hall range by CherryArte, it's her favourite yet! 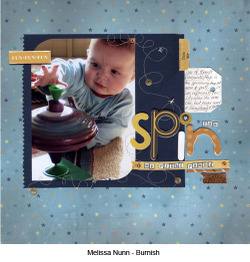 It was perfect for this layout of her little Madeleine a few Easters ago and in Nicole's opinion is the perfect combination of modern and vintage charm. 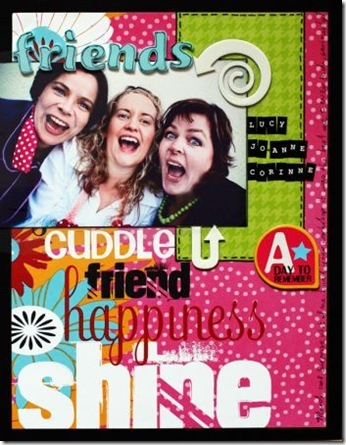 Nic used the Deco Hall papers as her base, and also to cover the Cosmo Cricket blackboard chipboard shapes, then finished with stamps by Pink Paislee, some embroidery and some of the gorgeous new CherryArte rub-ons. Aussie would like to thank Luise Smith, owner of cherryArte for sharing with us these beautiful projects from her Design Team. So much inspiration to follow so hang onto your hats ! The fabulously talented Linda Albrecht has created these following three LO's. 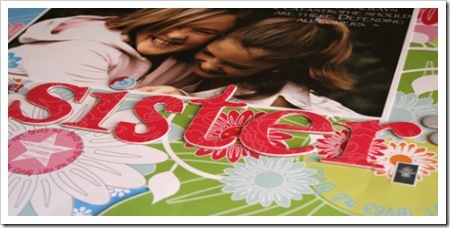 This LO is a wonderful mix of seasonal paper, with the cut out circles creating a scalloped edge. Linda has created a gorgeous bathing page, the circular cutout of leaves presented in a garland is a clever and quirky embellishment. We loved the layered paper at the bottom of this page which gives the feel of a garden bed. 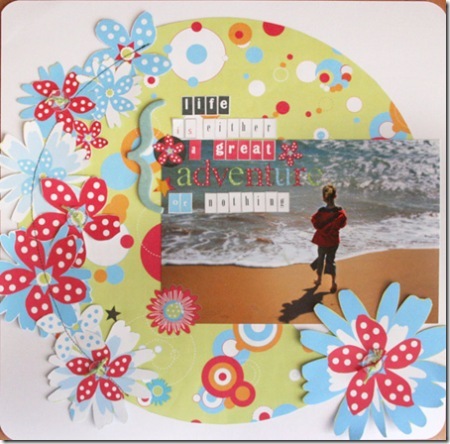 Linda has cut out circles adhering them over strips of paper adding to the garden design and feel of this page. The addition of red brads make perfect apples. 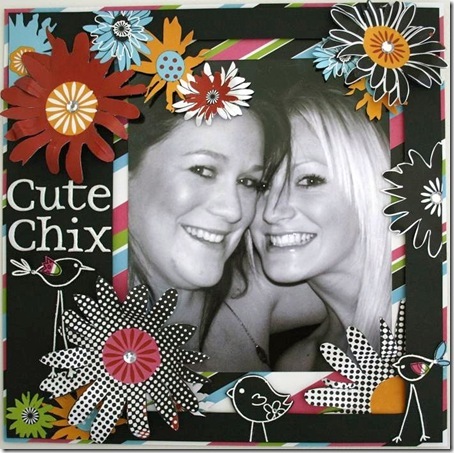 This cute project comes from Norma Kennedy, she has covered two chipboard boxes and tied them with ribbon. The cherryArte chipboard flowers and brad handles complete this lovely trinket box. At first glance you might think Norma has kept this page quite simple however on closer inspection you will see the beautiful detail that makes this page pop. 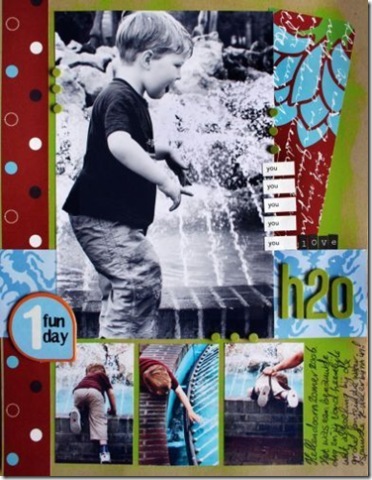 Distressed edges, lots of layering and the torn paper which reveals part of the title gives this fun page loads of personality. 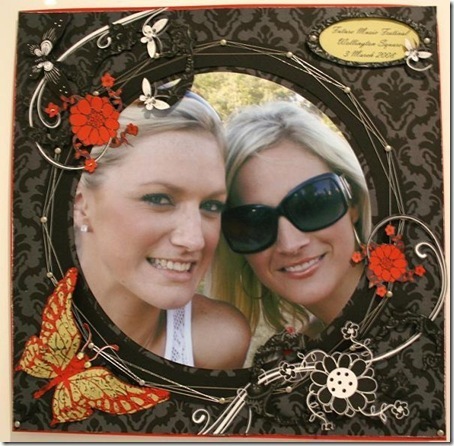 Pams page is a stylish mix of patterned paper, chipboard, layers, rubons and cut out embellishments. Beautiful. 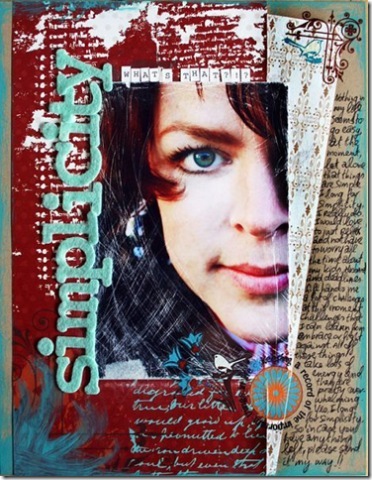 Clean and simple is the style of this lovely page by Sheri Reguly. On this project it is all about the little things which leads your eye back to the very sweet photo taking centre stage. 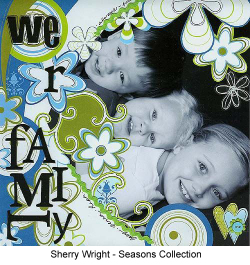 How fantastic is this design by Pam Callaghan using the new Seasonal range? 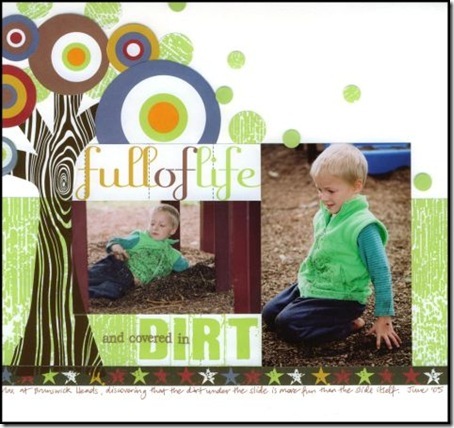 The colours are so fresh and Pam has created such an eye catching layout with them. Thanks Pam for sharing this and the next two layouts with us! You certainly have a flare for using CherryArte products. Pam Callaghan using the new Vanilla Vintage range, perfect for these adorable ballerina pictures! 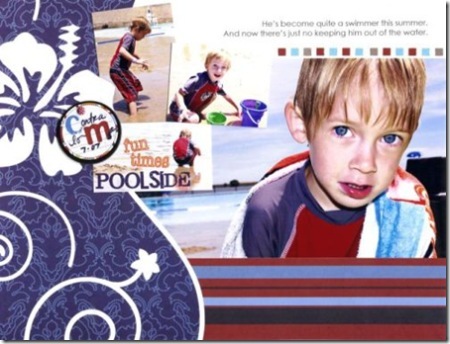 Pam Callaghan using the new Deco Hall range creating a very boy layout for her son! Thanks again Pam for your inspiration! Chris wanted to mention first how surprising it was to find a set of rub-ons that had alphas and designs combined on the sheet! And Chris managed to compose a very long title with those alphas showing that there is definitely a good amount of each letter. The colours in the Girl Power range as so vibrant and look stunning on a white background. 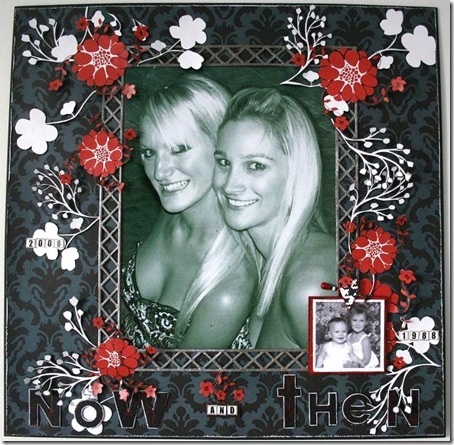 Chris has added a doodled frame to her photo by using the Sassafras Lass border acrylic stamps straight onto the pattern paper and trimming around them. This fantastic creation was totally inspired by the talented Ali Edwards from one of her weekend creative projects. 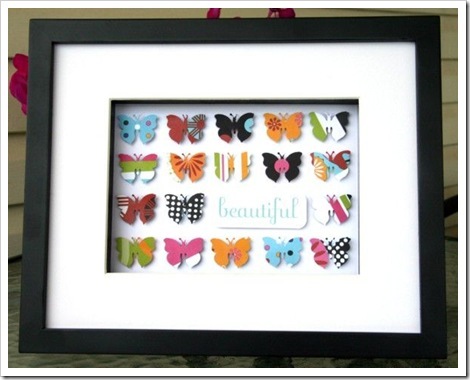 Chris has used a butterfly punch with the Girl Power papers to create this eye-catching wall art. The 'my girl' rub-on word 'beautiful' just finishes off the project nicely. The lovely Dee Ferguson has designed these 3 gorgeous creations using both the 'his and her basic' range and the 'girl power' range. She had kindly allowed us to share her fantastic work on the blog! I think you'll agree with us that Dee definitely has created works of art with these papers! Thanks for sharing Dee! 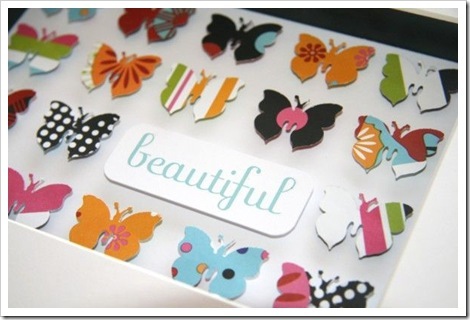 So much beautiful inspiration here, so many gorgeous papers, such talented designers. Thank you Sheri, Rett, Heather and Corinne. and speaking of vibrant, we're loving the look of these new collections from cherryArte. 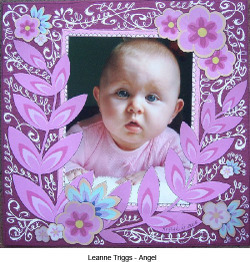 Flowers Flowers everywhere - Jaimie trimmed the flowers from the cherryArte Corrine paper and used it to frame her page. With the addition of buttons as flower centres and letters from the Sheri paper & Princess alpha rub ons for a title this simple page comes to life. 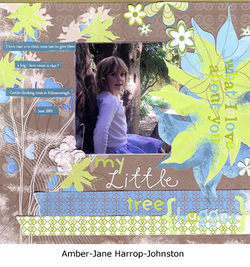 Jaimie loves the way cherryArte paper is able to be cut and trimmed down to fit any and every theme. 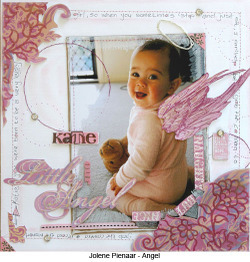 The Princess range compliments beautifully the focal photo on Jaimie's page. The new cherryArte poolside range is bright, bold and very striking. 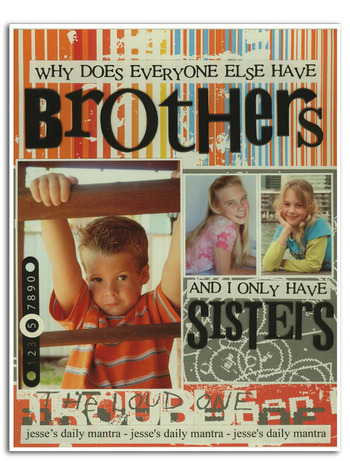 It has the perfect colourings for both boy and girl layouts, making them a welcome addition to any scrapbookers stash. 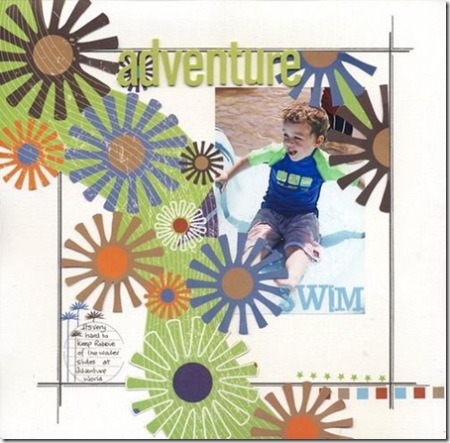 Maxine used a mixture of the poolside patterned papers and rub-ons to create a funky border on the left side of the layout. 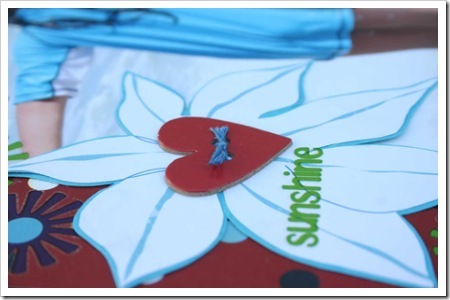 She then used the large 'FUN' lettering and tall flowers also cut from the poolside patterned paper to balance the layout. As with past cherryArte rub-ons these new ones are as easy to use and make the perfect add-on to the chipboard embellishments. Suz used the new cherryArte Morocco line to showcase this stunning shot, taken by photographer extraordinaire, Raylene Wilkinson. Suz silhouetted the subject so that the strong rusts and turquoises of the papers are reflected in the photograph. 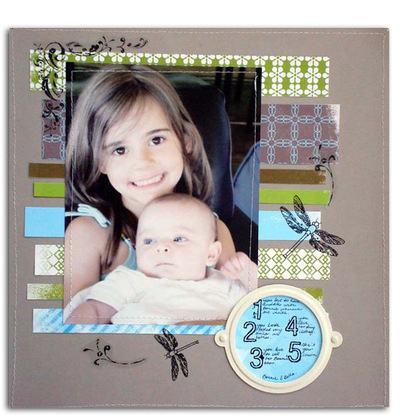 As soon as we saw this layout by Corinne Delise we knew we had to have it for ourselves. 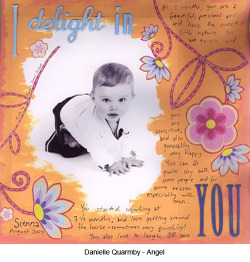 The colours in the cherryArte papers seem to reflect into the photograph. The layout is dramatic and breathtaking. The addition of the rub-ons just sets the layout off without being overbearing. We all wish to thankyou for sharing your talents with us Corinne. Tania Davey makes no secret of her love for all things cherryArte and its easy to see why, she works with them perfectly. Her layouts always draw one into them to look further. This layout has style and movement, seeming to flow from the top left corner all the way to the bottom of the page. Its bright and its funky. 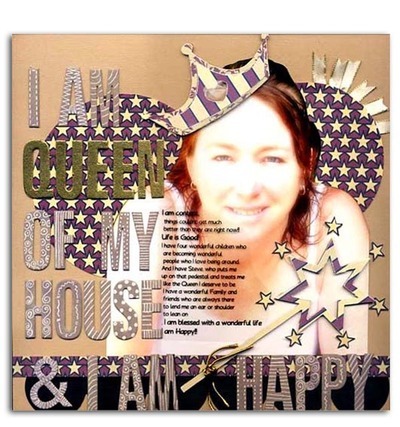 Thankyou Tania for allowing us to share your layouts. And yet another wonderful layout by Tania Davey. The way she has used the chipboard hearts hanging on the branches, seem to reflect growing love, very clever indeed. The woven strips of paper seem to ground the layout. 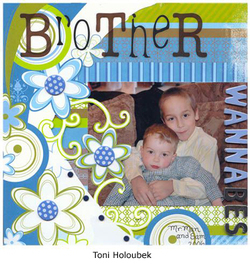 Thank you Tania for allowing us to share your beautifully designed layout. 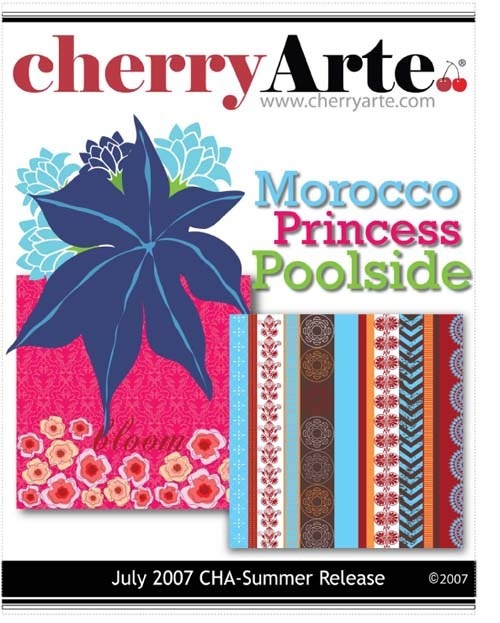 Aussie would like to extend a huge thankyou to Luise Smith of cherryArte for allowing us to showcase the fantastic work from two of her Design Team - Corrine Delis & Heather Thompson - who have created these eye catching Layouts using the Poolside and Princess ranges. Beautiful work - thankyou. 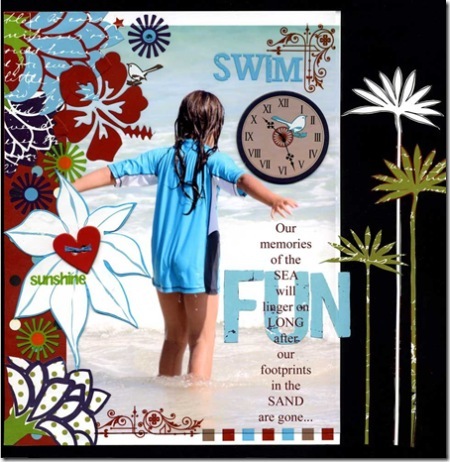 Corrine Delis has used the Poolside range from cherryArte to perfection - the rich colours are the perfect background for these fun photos on her page. The deep greens mixed with pale blue and the touch of red - give a sense of calmness which has created a LO with a subtle wow factor. Who says beach themes need burn your eyes out bright paper!! 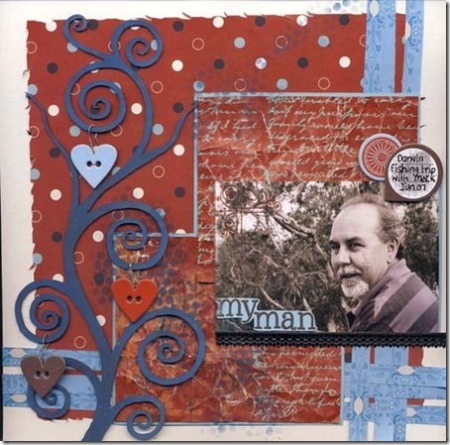 Another beautiful LO from cherryArtes Heather Thompson - the rich reds and deep blues of the Poolside range is a gorgeous backdrop for this Layout and matches beautifully with her subject. 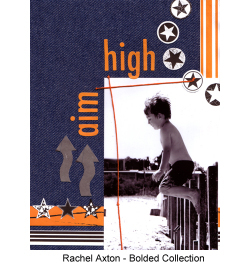 The addition of small rubon title and tag embellishment make sure that her photos remain the focus. 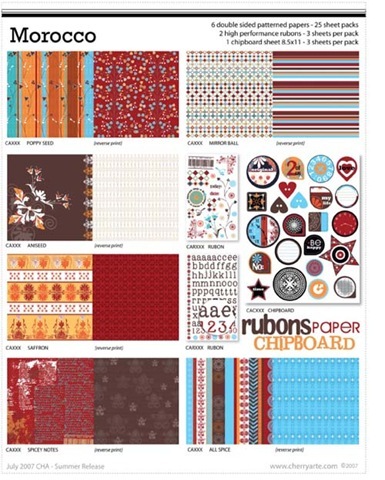 This weekend inspiration comes from the beautiful papers, chipboard and rubons from cherryArte. 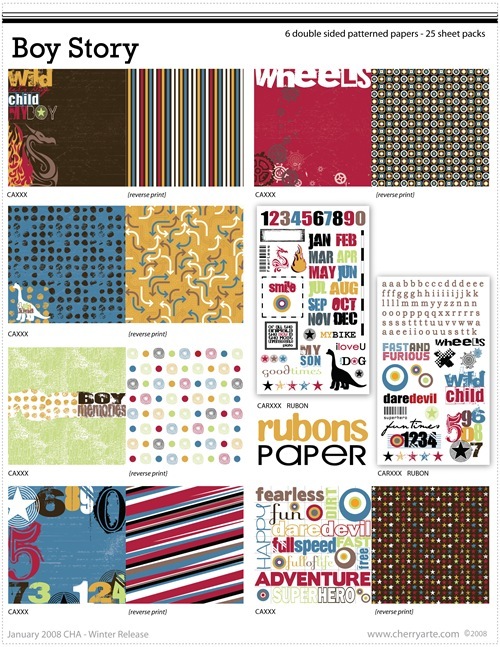 cherryArte patterned papers are wonderfully versatile and, although full of colour and life, they generally still cleverly manage to take a back seat and let the photos shine. Caz has chosen the Boys Boys range of CherryArte products to document her son Jesse’s daily lament about having no brothers. How unfair that ALL his friends have brothers and he only ended up with sisters. 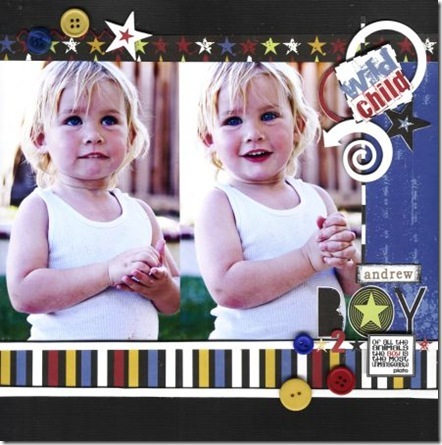 The title is made with various Heidi chipboard alphabets and a CherryArte rub-on has a white circle sticker surrounding a section of it to highlight Jesse’s age at the time. 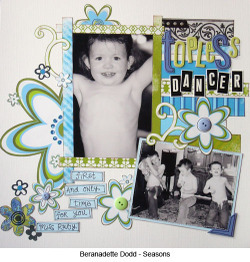 For this layout Mel selected the Seasons range of patterned papers combined with Cherry Arte dragon dream rubons and Heidi Swapp Scrapbook Scenery diamond drama 1 stickers. For the journaling (which she placed inside a Basic Grey bookplate - how cool are those bookplates!!) 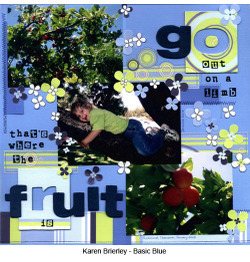 Mel used the black Cherry Arte rubon numbers to allow for point form journaling. 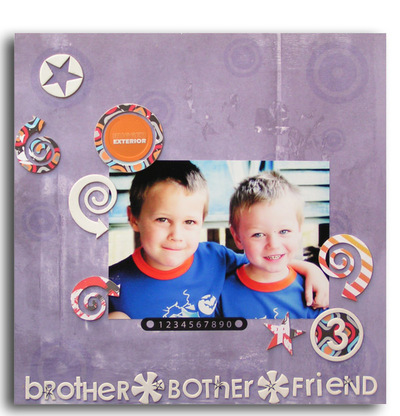 Suz couldn't resist this photo of Cheryl's two boys and combined it with the perfectly suited cherryArte Boys Boys range of papers. A dash of fab cherryArte chipboard arrows and letters and the relationship between these two was summed up pretty succinctly. 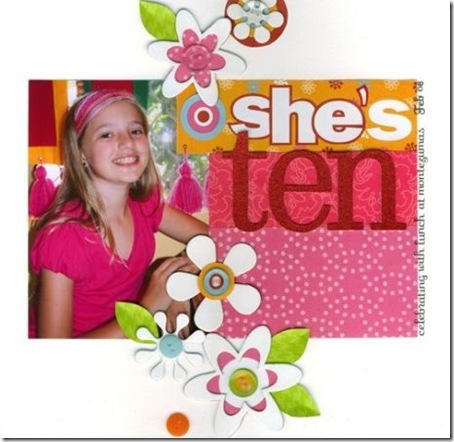 Mel handcut out the flowers from the Cherry Arte Fall Flowers patterned paper for this gorgeous layout of her daughter, and positioned them ever so slightly over her photograph. 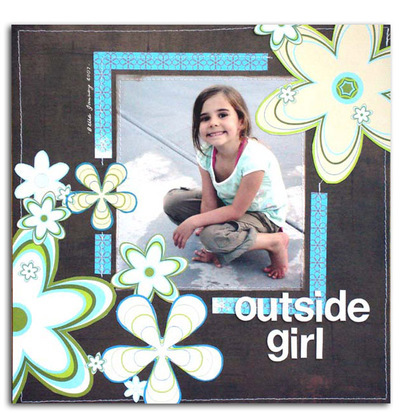 The flowers go well with the theme 'outside girl' and the bluey green tones make a great contrast against the Basic Grey double dark background paper. 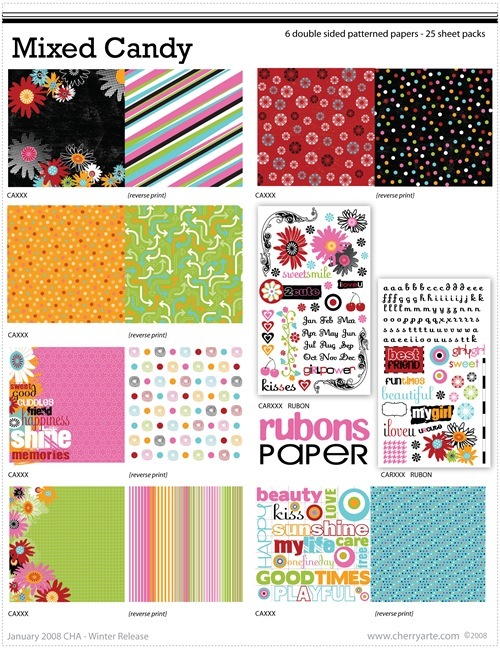 We've also found some pretty amazing layouts using cherryArte papers around the online scrapbooking community, and we thank the following artists for allowing us to share their creations here. 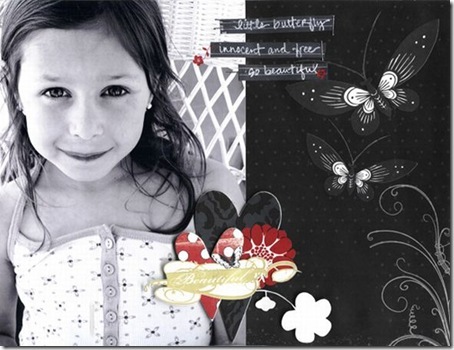 We loved the large style poppet that Tania Davey created on this page using the Golden Haze range of patterned papers. The layout presents a real warmth and is just plain fun! 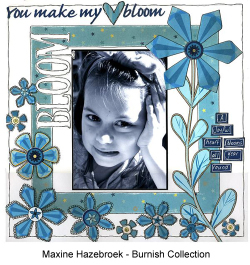 Maxine Hazebroek's page is incredibly soft and sweet with a dash of florals adding a true girly touch. 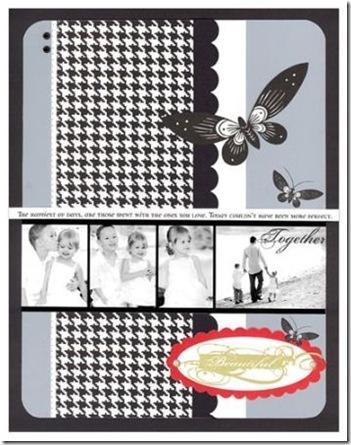 We loved the warm classic coffee papers set against the black and white photos. And there's more! 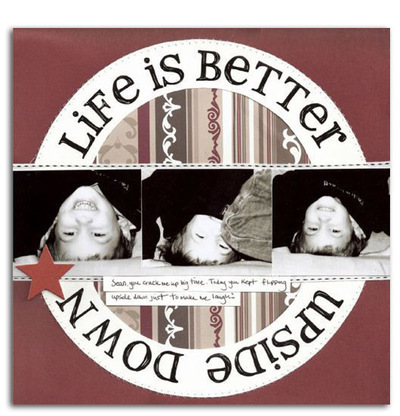 Life is better upside down by Pam Callaghan is very eye catching. The clever use of circles with a dash of Incense (East of India range) direct the eye to the photos in the centre of the layout. The Seasons range of patterned papers is often used on beach & Summer layouts, but here Beth Root has cleverly used the range with a more tradional photo. The results are spectacular! 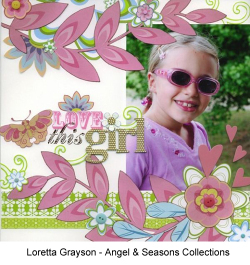 Finally in this layout Loretta Grayson has let her photos tell the story by just adding a splash of the Midnight Rouge collection. 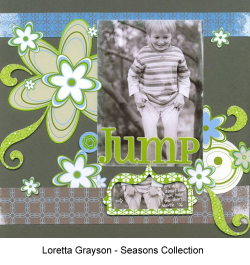 Combined with her title and small journaling tags, the layout is certainly striking. We are pleased to share with you the winning entries from the cherryArte competition. We had a tough time selecting the winners and would like to thank everyone for their entries. Prize packs will go out in the next few days. Congratulations to the winners and in fact to all of the entrants. 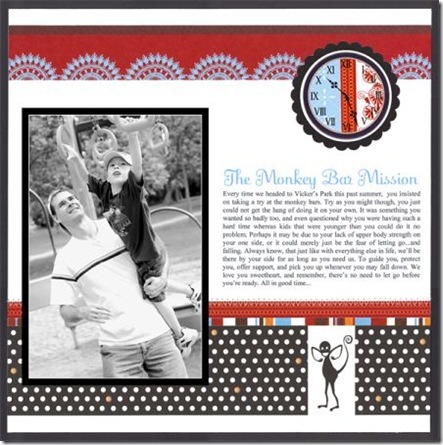 Simply create a layout (no smaller than 8.5” x 11”) using any papers from the existing 7 ranges - Basic Blue, Bolded, Blaze Retro, Boys Boys, Burnish, Seasons and Angel. You have until Friday 28th July to get your entry in to info@aussiescrapsource.com. Please photograph or scan your entry and save as 100-150 dpi. With your entry, please send your name, email address and contact information. Judging will take place over the weekend and winners will be announced on Monday 31st July. There will be 10 lucky winners. The prizes will be sent out in the first week of August. 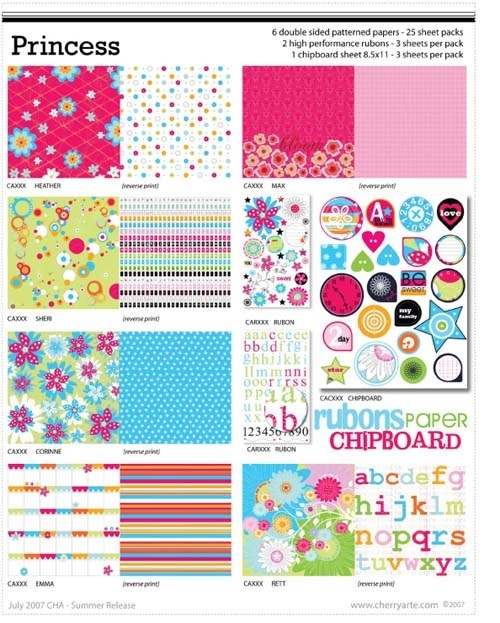 To get you motivated, we have included here some of our favourite cherryArte layouts. We open the gallery with works by three of the lovely and talented cherryArte Design Team members - Loretta Grayson, Kelly Goree and Maxine Hazebroek. 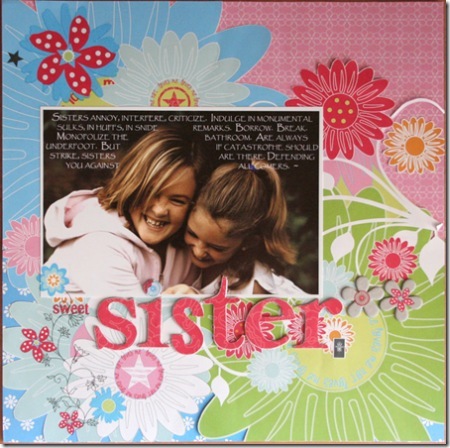 We have also included a selection of layouts from some other very talented ladies. Thank you all for allowing us to showcase your work here. Please spread the word. If this competiton turns out to be a roaring success then we will look at doing more like it. Good luck everyone. A couple of weeks ago, cherryArte launched 2 new ranges - Seasons and Angel - and at the same time, kicked off a fabulous trivia competition. On each of the new papers (12 in total - 6 in each range) there is a question on the barcode strip at the bottom of the patterned paper. All you need to do is answer each of these 12 questions and send them through to cherrytrivia@cherryarte.com. You have until 31st July 2006 to get your entries in. 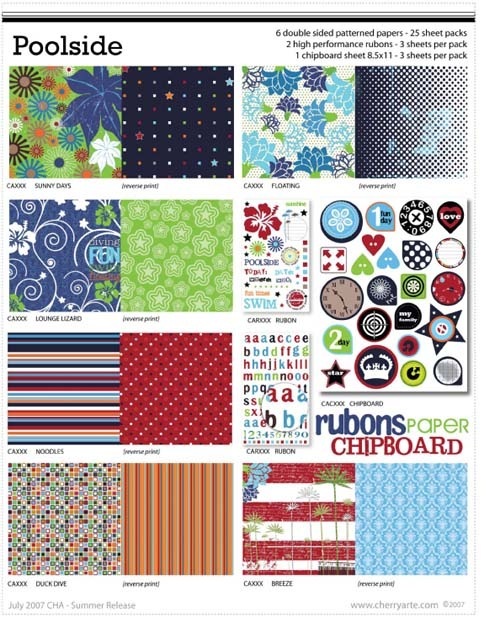 There will be 3 winners and each of the winners will receive (1) the complete range of cherryArte products available at the time of judging, (2) the new cherryArte products to be released in February 2007, and wait for it.... drum roll.... (3) the option to name 6 new patterned papers for the February 2007 release. 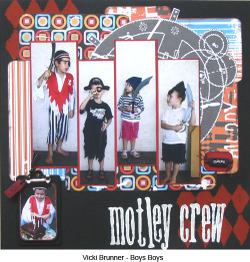 For full details and competition rules, please pop over to www.cherryarte.com. Good luck. 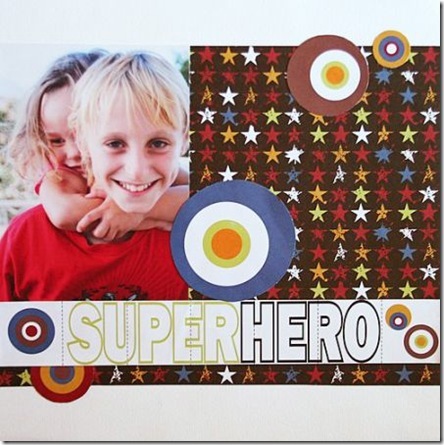 Here are a couple of layouts using the new cherryArte ranges, just to help get your creative juices flowing. Thank you to Toni Holoubek and Amber-Jane Harrop-Johnston for sharing these with us.